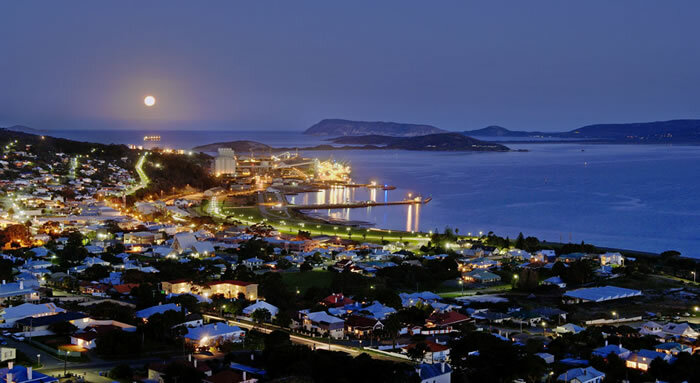 Albany Western Australia wonderful pictures & Albany information. 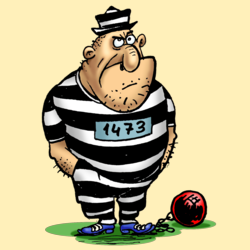 I am in the Albany Convict Gaol. 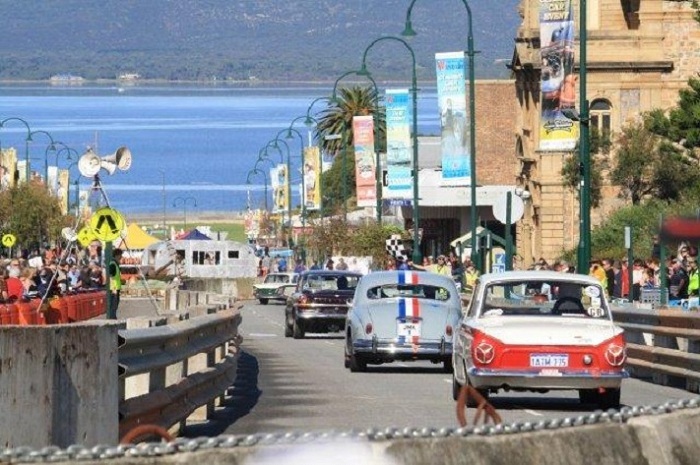 The secret is out Albany in Western Australia has come a long way in 188 years, from convicts to car race's in York Street, plus the mediterranean climate that's the envey of Australia and the World. Aboriginal, which acounts for it's European nickname of "The Rainbow Coast" this is some what misleading as Albany boasts a Mediterranean climate with very few frost's or day's above 35 C.
Many people now holiday and live in the Albany finding the searing heat to much in Perth and the cost of living or holidaying lower than in the Bussleton, Margaret River areas. In fact Albany has a similar rainfall to Perth but the rain is over a longer period making it lush green for most of the year and a great place to come and chill out. Close to Torndirrup and West Cape Howe National Parks, Albany is full of attractions and things to do its World renowned spectacular coast line, King George Sound, fantastic beaches, fishing, walking trails interesting history, wild flowers, rare birdlife at Two Peoples Bay Nature reserve, and the legend of Anzac. Many visitors who only book 5 or 6 nights end up staying 3 weeks or more so allow yourself plenty of time. The Tours, vineyards riverboat cruises and Aboriginal Dreamtime make it not just a holiday destination but a popular retirement destination. 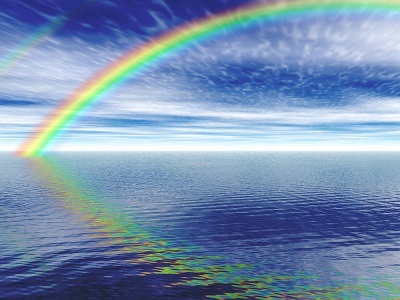 It is a perfect place to be and see. A lot of people who come for a holiday end up staying a life time. 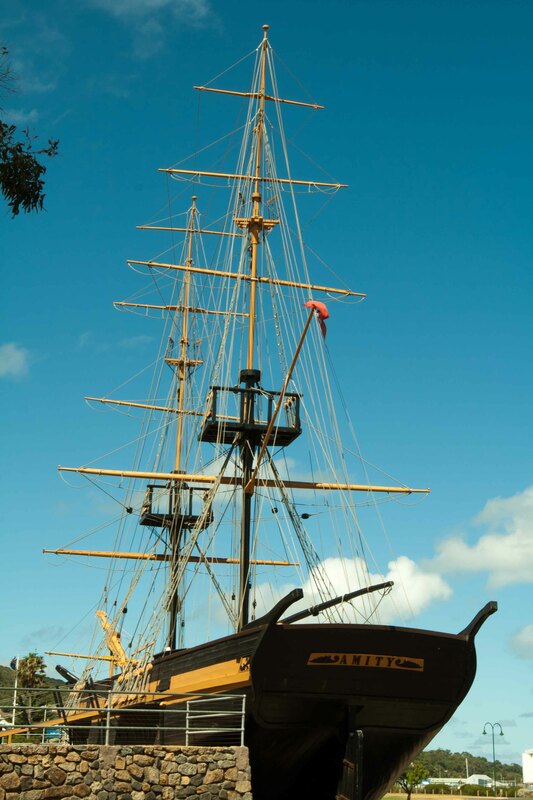 It was first settled by the English in 1826 when Major Edmund Lockyer arrived in the Brig Amity with convicts and soldiers from Sydney to establish a penal colony and this made it the first European settlement in WA. 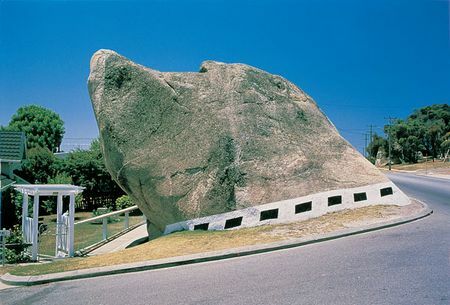 On the 21st of January 1827 it was named Fredricktown, after King Georges brother Fred. Poor marketing and planning decisions such as the Esplanade Hotel being demolished rather than made a listed building, the use of the slogan “Australia’s best kept secret” may have led to the huge decline in visitor numbers between 2009/2011. The destructive Margaret River bushfires that were lit in hot and windy conditions in a burn off by D.E.C. Formerly C.A.L.M. 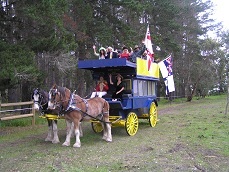 caused a lot of holiday makers to cancel in the Margaret River area Xmas 2011. Perth has had record heatwaves with people flocking South, however it is more likely to be the sheer beauty, very competitive prices kind climate and friendly nature of the people in Albany that has proven to be the main turning point with record numbers of visitors enjoying the 2012 summer holidays. 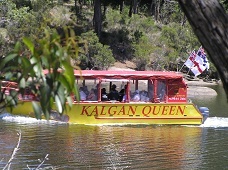 The local Riverboat tour the Kalgan Queen recived a very complimentry write up in the West Australian as a well known travel writer labeled it the best tour he had ever done, a great accreditation both for the Kalgan Queen Riverboat and Albany alike. 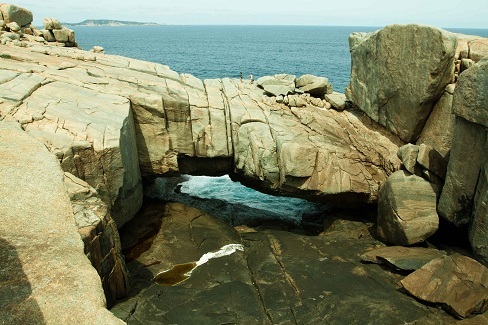 The natural and stunning beauty of the Gap and Natural Rock Bridge are just some of the amazing attractions and things to see and do. Near the Gap and Bridge is Whale World a great place to see how the Whaling industry took place. Albany was the last mainland Whaling station which closed in November 1976 and now the Whales provide hours of fun and admiration as they have a Whale of a time breaching [leaping out of the water] in King George sound. They can often be viewed from the lookouts on Marine Drive which is between the Town centre and Middleton beach or better still get on a Whale watching tour which can get you right up close to the Whales. 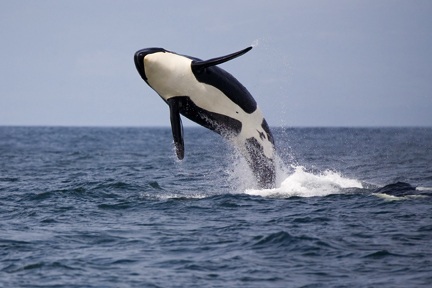 Picture of a Killer Whale or Orcha in King George Sound. The main season for Whale watching is between mid-July to late August but this can vary year to year. 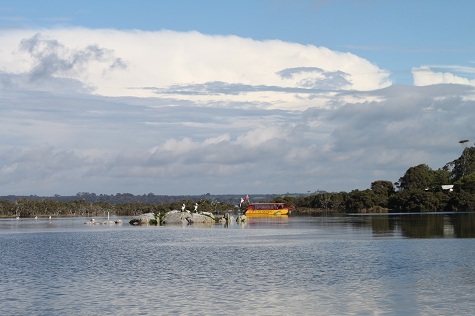 From September through till May the Kalgan Queen Riverboat takes you on a "sheltered water cruise" where you learn the history of Albany and get very close to nature. 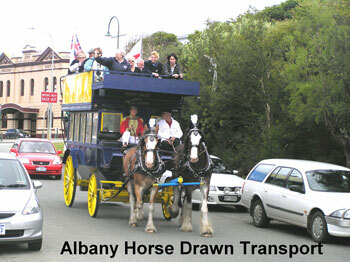 With a population of 31000 plus, the City of Albany boasts a new hospital, all the latest shopping centres and a Farmers market every Saturday morning [near York Street] that was voted the best in Australia. There is also a fish market on a Sunday morning that sells a lot more than fish which is often accompanied by the sound of local buskers. Albany Penny Post was the oldest Post Office in Western Australia and it once housed the District Customs Office, the Bond Store and Mail Room. 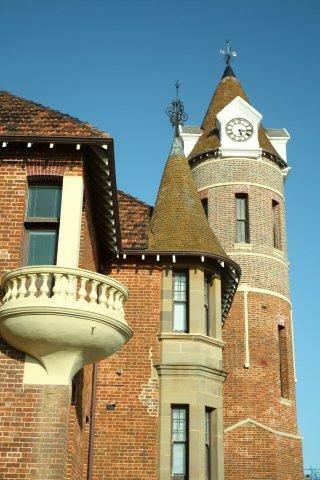 Today it is home to the Albany Universty of Western Australia. 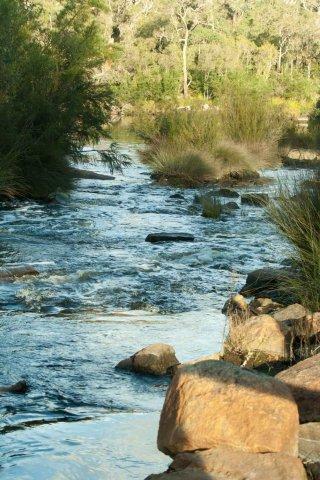 Now recognised as the Worlds oldest river the Kalgan is a wonderful place to visit, you can walk the banks on the Luke Penn Walk or take a trip on the Riverboat where you will also be told about the history of Albany and its wildlife. There is a great Leisure centre with indoor swimming pool and gym. The new Albany Entertainment Centre opened in 2011 a very futuristic building which brings in world class acts and has proven a great attraction for locals and visitors alike. 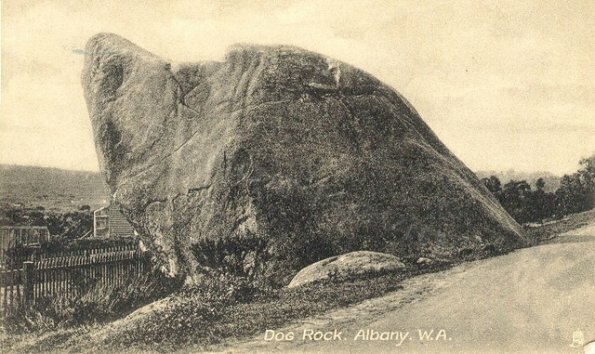 Dog Rock is a well-know local attraction; in 1921 the council decided it was dangerous and was going to blow it up! It caused so much upset to the people that a referendum was held with a vote of 409 to keep it and 207 to get rid of it, it stayed. However you will note with current legislation it now wears a collar. We hope the council don’t think the Natural Rock Bridge is too dangerous! 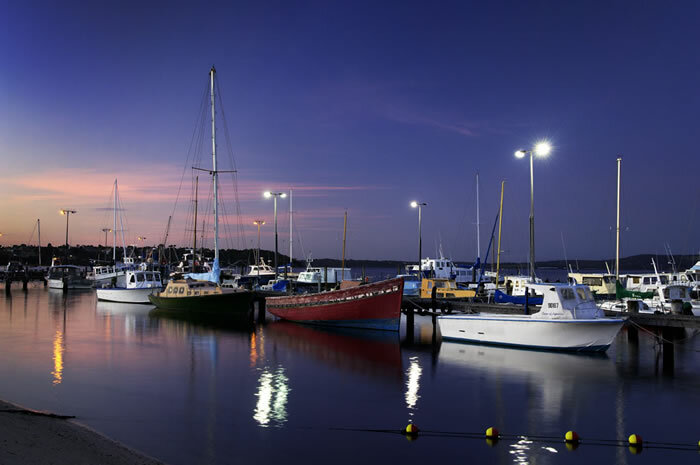 Albany is about the sea and Emu Point is a great area for “getting outside” you can camp or caravan, motel or B and B there is good swimming facilities, fishing at the point or a trip to the boat pens to see the Pelicans, fish and chips at the Squid Shack. Take a moment to see the Sam the Seal Bronze. Sam was a bit like Elsa the Lion or Red dog in as much as though he was free and wild he liked humans. Sam the New Zealand Fur Seal who over the years has trusted and befriended thousands of locals and tourists who visited him at Emu Point was senselessly slaughtered by a coward who killed him in his sleep an act of ultimate betrayal in February 2006. Sam’s death was covered by national and international media and even drew comment from the Prime Minister, such was the impact of this betrayal. A memorial service and scattering of Sam’s ashes attracted a crowd of 450 people. An appeal conducted by local riverboat operator Jonathan Jones has seen 2000 donors contribute to a life sized bronze memorial being erected at The Jim McIlvenie Park, Emu Point Boat Pens. Visit the memorial and experience how Sam affected so many. A plaque on the memorial writen by Jonathan reads:- Sam the Seal loved by all to be betrayed by one..
Albany 2007 a special year! 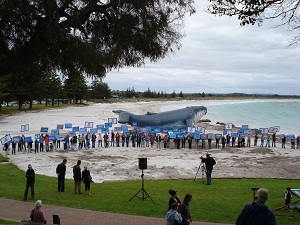 People gather at Middleton Beach to protest against Japan Whaleing, plus Peter Watson M.P.open's Albany Clydesdales. 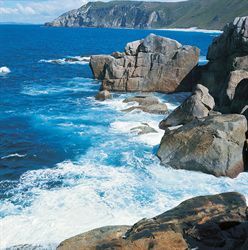 The coastline around Albany is fantastic but be careful as many people drown fishing or swimming in the wrong areas.